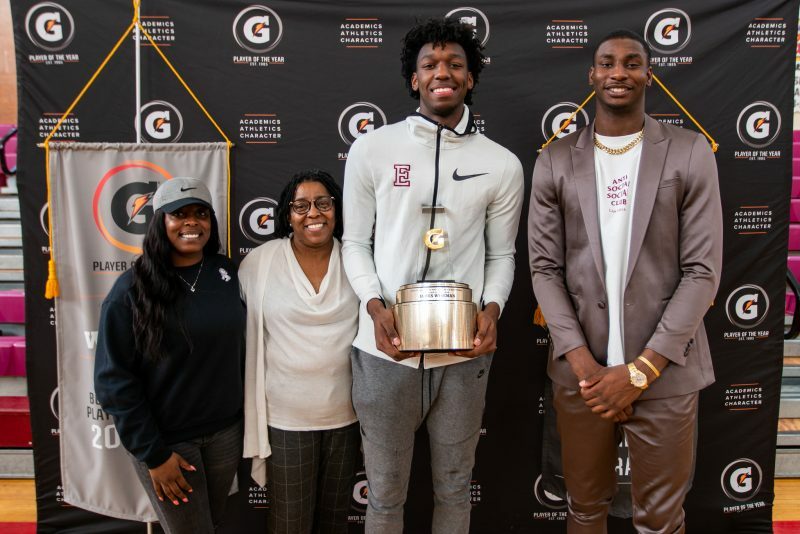 Jaren Jackson Jr. is one of the league’s most promising rookies but it was his turn to shine light on the future when he presented James Wiseman with the Gatorade Player of the Year award. Jaren and James are friends and it was fitting for Jaren to be the one to help Gatorade bestow the award to James. After the presentation, Jaren spoke with us about his role in the surprise of James, his thoughts on his friend’s future and he provided insight to what’s been going on with him since entering the league. See the surprise moment here as captured by Gatorade. The Gatorade Player of the Year program recognizes the nation’s most elite high school athletes for their accomplishments on and off the field. It is the most prestigious award in high school sports, and recent basketball winners include Jayson Tatum, Ben Simmons, Karl-Anthony Towns and Andrew Wiggins, among many others. Past Gatorade National Boys Basketball Players of the Year have gone on to have incredible success: 25 winners turned into NBA first-round draft picks, and the group has combined five NBA MVPs and 65 All-Star appearances.